P&CSO says residents should ensure that passports and other travel documents are valid. Holders of Cayman Islands passports should submit only copies of those passports, together with application forms, when applying for United Kingdom (UK) passports, and actual passports should not be sent. Holders of UK passports which will expire within the next six months should not send them away for renewal, unless each holder has a second passport that may be used in an emergency. Residents should copy key documents, including passports, birth and marriage certificates, naturalization and registration certificates. Originals and copies should be stored securely in separate locations. During emergency situations, particularly approaching hurricanes or tropical storms which may require travel or evacuation, original documents should be kept at hand, secured in waterproof bags or containers. 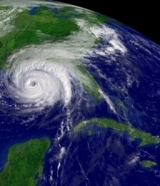 People travelling to the United States, either before or immediately after a hurricane, must also ensure that their travel documents are in order. This is essential because a holder of a CI or UK passport with a US visitor’s visa may travel to the US on commercial, charter or air ambulance flights but a holder of a CI passport without a US visitor’s visa must first obtain a US visa waiver from the P&CSO to travel to the US on a commercial or air ambulance flight. Visa waivers can only be placed in machine-readable CI passports. A holder of a CI passport should ensure that it is valid for at least six months after the intended date of departure from the US. A holder of a UK passport without a US visitor’s visa, but with an approval from the Electronic System for Travel Authorization (ESTA) may travel to the US on commercial flights only. Residents travelling to other countries should make appropriate plans beforehand and should also know and comply with the travel requirements of respective destinations. Residents should also remember that travel documents cannot be issued when weather conditions require the closure of government offices, including the Passport & Corporate Services Office. The Cayman Islands Red Cross notes that having a family disaster plan encourages families to discuss the possible scenarios and how every family member should act in each of these scenarios; it encourages families to share the tasks and take ownership of their responsibilities in the plan; and finally it helps families think more thoughtfully about the needs of the most vulnerable members of their families:children, the elderly, those with special needs, and even their pets. The NGO, which plays a major role both in preparation and in the aftermath of a disaster, says that having a family disaster plan also assists in providing the individuals involved with a greater sense of control and peace of mind before, during and after a disaster. While there is no way to completely eliminate the stress that is created by such a disruption in our daily lives, knowing that there is a plan, what one’s role is in that plan, what to do in each possible scenario and in the aftermath of the disaster-especially should anything unpleasant (such as separation of families) but not unplanned for have happened- greatly reduces the potential stressors which can make a bad situation simply unbearable. Children can greatly benefit from this because there is reassurance in the fact that they have talked about what can happen and what to do in each case, the Red Cross says. Having a role and a responsibility makes them feel like they are part of the solution, as well as offers some level of distraction to what may be going on around them. While the psychological impact of hurricanes is not fully understood, having a family disaster plan where members of the family, especially those who lived through any storm, are able to honestly discuss their apprehensions and fears will help to avoid a lot of miscommunication, misunderstandings and conflict. After all, the CIRC notes, no one has ever regretted being overly prepared. For more information contact the Cayman Islands Red Cross at info@redcross.org.ky , 949-6785 ext. 26 or 27, or log on to www.redcross.org.ky.